Our organizing work in education led us to a crucial junction point. Would we continue to organize a movement as a grassroots organization or would we attempt to enter into electoral positions in order to more effectively realize our guiding principles through our elected school board? Trick question, as we chose both (surprise!). As part of an on-going effort to organize, mobilize and enact meaningful progressive reform (real reform!) in our district we decided to run a campaign for school board consisting of a slate of three of the founding parents of the Community Education Task Force. The CETF’s Slate for Educational Change includes Howard Eagle, Mary Adams and Wallace Smith. Howard Eagle is a retired teacher of 23 years in the Rochester City School District. He is a parent of two students in the Rochester City School District and an active community organizer and founding member of the Community Education Task Force. 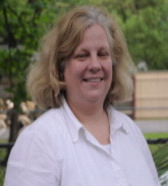 Mary Adams is a parent of three children in the Rochester City School District. She has been a research nurse for fifteen years and has lived in Southwest Rochester for eighteen years. She also is a founding member of the Community Education Task Force and active community organizer. 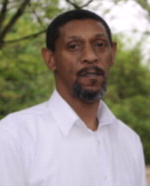 Wallace Smith is a Rochester City School District parent and grandparent. He was the last president of the historic civil rights organization FIGHT (Freedom Independence God Honor Today) co-founder of Freedom School in Rochester, and co-founder for Rochester’s branch of Alliance for Quality Education. 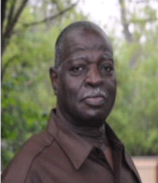 Mr. Smith is also a founding member of the Community Education Task Force and an active community activist in Rochester. Sadly, effective campaigns require resources and cost money so anything you can part with in order to help support this grassroots campaign would be much appreciated. 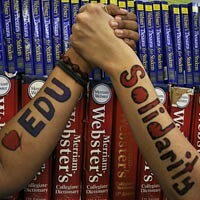 Head over to http://www.communityeducationslate.com/aboutus.htm and click on “contribute” to show your support. The struggle continues…..